March 27/29, 2009 : Dean will be appearing at The Leap Back 2009 20th Anniversary Convention, to be held March 27-29, 2009 in Los Angeles, California. 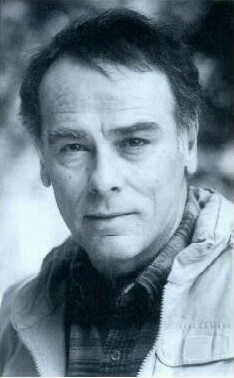 November 2007: Dean Stockwell has a part in an upcoming western titled "Al´s Beef" directed by Dennis Hauk, according to internet sources. October 5, November 15, 2007: Dean Stockwell´s artwork was exhibited at the R.B. Ravens Gallery, Taos, New Mexico from October 5 to November 15, 2007, and was called "Collages and Bones". Opening reception was on October 5, 2007. March 24, 2007: Dean Stockwell presented the Award of Artistic Excellence to Dennis Hopper at the Artists & Legends Gala at the Palm Springs Art Museum in California. January 16 to March 31, 2007: "Semina Culture: Wallace Berman and His Circle" a traveling art exhibition organized by the Santa Monica Museum of Art was held at Grey Art Gallery, New York University New York, NY. According to Nancy Red Star website, Dean woud be narrator in "Star Ancestors... Guardians of the High Frontier" a feature documentary film and television documentary series. No news or updates about it yet. There´s no evidence it will ever be produced. Quantum Leap: "A Bold Leap Forward". A new Quantum Leap TV movie announced in 2003 / 2004 that would feature Sam Beckett's daughter as a new leaper and would have Dean Stockwell involved. There´s no evidence it will ever be produced. "The gang arrives and Billy Joe kicks into action. Robert Duvall is at the hors d'oeuvres table. Dean Stockwell is on the couch with Bruce Conner and Dennis Hopper. They give off the same vibe as the cool kids did in high school--except I'm not worried about any of them starting a fight with me." One of the highlights of the [CineVegas] festival was the closing night gala at Skin Pool Lounge in the Palms Casino Resort hosted by Movieline's Hollywood Life. Celebrities who attended included Dennis Hopper, Dean Stockwell, Bruce Conner, Julian Schnabel, Holly Hunter, Val Kilmer, Taye Diggs, John Leguizamo, Michael Rosenbaum, Robert Duvall, Juliette Lewis and more. Amber Tamblyn knows weird. As the daughter of "West Side Story" singing-dancing star Russ Tamblyn, the 20-year-old was raised in Topanga Canyon, California, by her father and her mother, singer-teacher Bonnie - and by an extended, '60s-style clan made up of arty iconoclasts and close family friends, including actors Dennis Hopper and Dean Stockwell, rocker Neil Young and Beat poet Michael McClure. "I have, like 34 mothers and 57 dads," she says. Winery owner Francis Ford Coppola presided Sunday night at a 2 1/2-hour community meeting in the cafeteria of SS Peter and Paul's Church. The meeting was called to take stock of North Beach Citizens, which helps the homeless in that community. People who attended were encouraged to ask questions, make suggestions and voice criticism or praise for the group. Meanwhile, the director's son Roman Coppola and his girlfriend Frankie Rayder, fresh from the Coppola-George Lucas family vacation expedition -- a trans-Canada ride in a Canadian Pacific train car used by Winston Churchill -- were at weekend festivities surrounding Sunday's Concours d'Elegance car show at Pebble Beach. The guest list included Jay Leno, Clint Eastwood, Malcolm McDowell, Dennis Hopper, Dean Stockwell, Diane Ladd, Randy Quaid and Mark Rydell. The night before Sunday's event, the stars stopped off at a Carmel Valley Ranch dinner thrown by Cadillac and GM honchos Bob Lutz and John Devine. Already known for her smoky voice and steamy entrances, Lauren Bacall recently made a fiery exit from the villa she was staying in during the Venice Biennale. Bacall, Dennis and Victoria Hopper, and Dean Stockwell were sleeping at the home of Count Giovanni Volpi -- where the actors are shooting Oscar-nominated director Robert Dornhelm's film The Venice Project -- when an electrical fire broke out in the library. Stockwell's been credited with discovering the blaze and waking his fellow guests, sending Bacall dashing through the halls in her nightgown. The film's publicist says that everyone headed immediately to the garden except for Victoria Hopper and co-producer Kara Meyers, who lingered to toss pots of water on the flames, in vain. But a source says that some of the VIPs experienced a truly anxious moment as they waited for someone to find the keys to the villa doors, which were locked from the inside. A Venetian fire brigade finally arrived -- by boat -- and extinguished the flames. No one was injured in the fire, but the source says that production on the film was put on hold for a day because some key players were affected by the smoke: "Everybody still has a sore throat," says the source. The Venice Project also stars Frederique van der Wal as a depressed starlet and features Steve Martin, Stockard Channing, Parker Posey, and model Zofia. (These are dollars earned at the box office). Dean is a Cadillac Driver. He leases a new Deville every three years and thinks the upcoming XLR roadster is "a star among cars" He's also looking forward to the V-8-engined CTS. "I'm not a car nut, perse,” he says, "but I like a car with a lot of pop, Cadillac has that now". Can't we get a stand-in? Dean Stockwell's gold-and-silver shoes on NBC's Quantum Leap cost $125 a pair; he wears 12 per season. Season total: $1500. His Zeno cigars are handmade in Honduras and cost $185 a box. He smokes one box per episode. Be sure to let me know what you hear and we'll add it to this page!